Improved Diagnostic Criteria for Measuring Intramuscular Compartment Pressure in Chronic Exertional Compartment Syndrome Chronic Exertional Compartment Syndrome (CECS) is a condition in which nerves and muscles are damaged therefore causing pain. The most common affected area is the lower leg. If not managed promptly, it can lead to disability of the affected muscle. It is primarily induced by exercise or any repetitive strenuous body movement. 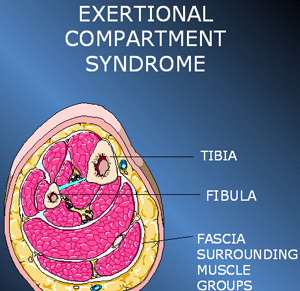 It is most common in athletes although anyone can develop Chronic Exertional Compartment Syndrome (CECS) . Signs and symptoms include cramping pain (leg pain is the most common), weakness, numbness, and tightness of the affected limb. Patients suffering from unusual pain that is not relieved by ordinary measures for pain management during exercise are automatically advised to see a doctor. It is diagnosed through measurement of intramuscular compartment pressure (IMCP). It is currently the mainstay treatment. 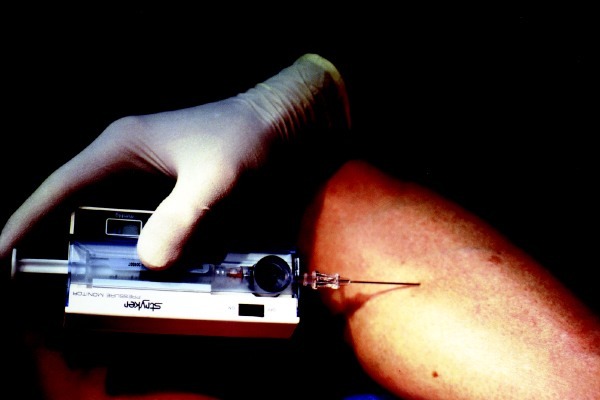 Basically, it involves insertion of needles into the muscles. However, there seems to be a debate among orthopedists whether the existing diagnostic criteria is the best method possible and if it is accurate, specific, and sensitive. Therefore, a study entitled “Intramuscular Compartment Pressure Measurement in Chronic Exertional Compartment Syndrome: New and Improved Diagnostic Criteria” was conducted in United Kingdom led by David Roscoe, MRCGP, MFSEM. The study was published on November 18, 2014 in The American Journal of Sports Medicine. The study used cohort design to compare dynamic IMCP measurement and anthropometric factors between symptomatic and asymptomatic patients with Chronic Exertional Compartment Syndrome (CECS) . This is also to establish the efficiency of the existing criteria of diagnosing which is Pedowitz criterion. The new method under study was compared to the existing diagnostic criteria, the major difference of which is the timing of measurement while participants are exercising. Participants included in the study where trauma patients who are males ranging from ages 21 to 40. These participants have either leg injury or tibia fracture. Participants with diagnoses other than Chronic Exertional Compartment Syndrome (CECS) were excluded in the study. The number of participants was divided equally into two groups: symptomatic CECS patients and asymptomatic Chronic Exertional Compartment Syndrome (CECS) patients. IMCP was measured continuously before, during, and after participants exercised on a treadmill, carrying a 15-kg load while they are on it. On the other hand, using Pedowitz criteria, IMCP was measured one minute and five minutes after , respectively. Consistently observed in the study was the significant difference in the pain experienced between control group and the subjects (subjected to 23.8 mmHg pressure for controls and 35.5 mmHg for subjects). The peak of difference was observed on the maximal tolerable pain (68.7 mmHg for controls vs 114 mmHg for subjects). This means that diagnosis can be improved when pain is measured continuously and not just one minute and five minutes after exercise as currently being utilized now. The improved diagnostic value is 63% more sensitive and 95% more specific than the existing diagnostic criteria. On the other hand, it was found out that the Phase 2 of the new and improved diagnostic criteria utilization is more accurate than Pedowitz criteria. Since Chronic Exertional Compartment Syndrome (CECS) can always be mistaken for shin splints, a less serious cause of leg pain related to exercise; an improvement should be established in the diagnostic criteria to provide early detection of the condition. If not detected early, CECS can result to loss of function of the affected limb. If you have leg pain, contact our sports medicine specialists for an evaluation at Orthopedic Surgery San Diego.